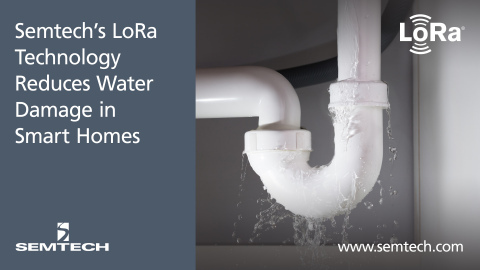 Semtech Corp., announced that iioote, a Sweden-based independent systems integrator offering Internet of Things (IoT) solutions and services, has integrated Semtech’s LoRa devices and wireless radio frequency technology (LoRa Technology) into its line of humidity and temperature sensors for water leakage detection and damage prevention in the home. iioote’s use of wireless, battery powered LoRa-enabled humidity and temperature sensors are installed in areas of the home with a high risk of water leakage, for example in bathrooms, kitchens and basements. The sensors connect to a public or private residential network based on the LoRaWAN protocol and report humidity levels regularly. In addition, homeowners utilize iioote’s web portal tool to monitor the data for humidity trends. In the event of a leakage situation, real-time leakage alerts notify homeowners, allowing swift action to prevent serious damage to property. 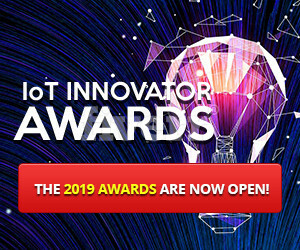 Semtech’s LoRa devices and wireless radio frequency technology is a widely adopted long-range, low-power solution for IoT that gives telecom companies, IoT application makers and system integrators the feature set necessary to deploy low-cost, interoperable IoT networks, gateways, sensors, module products, and IoT services worldwide. IoT networks based on the LoRaWAN specification have been deployed in 100 countries and Semtech is a founding member of the LoRa Alliance, the fastest growing IoT Alliance for Low Power Wide Area Network applications.